The number one, absolute best way to guarantee your success, is to write out your goals. How many times have you heard that? Dozens? Hundreds? But how exactly do you go about it? Do a quick Google search on “goal setting” you’ll find about 1,400,000+ suggestions, opinions, unbreakable rules, software, forms, templates, and products for sale that relate to the “how” of setting goals. And it attempts to trim off the BS that is usually associated with setting and achieving goals. 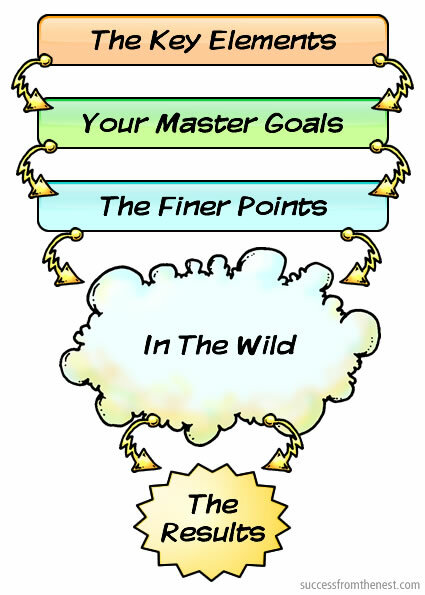 As you’ll see, it’s a little different from most goal setting templates. 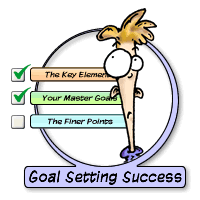 It’s sort of a “meta-model” or high level template for setting goals in a way that ensures your success at achieving them. The Key Elements – The things that are essential for your happiness and main drivers of why you do the things you do. 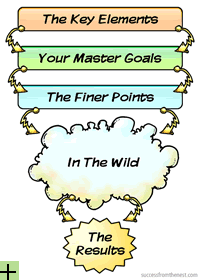 Your Master Goals – Big picture goals that tie directly to your Key Elements. The Finer Points – The measurable details. In The Wild – What happens when you put your goals out there in a tangible way. I can trace every success I’ve had back to following some form of this model. Some of the ideas will be old hat to you. Others will go against what you’ve heard before. Some of it will resonate with you. Some of it may not. No matter what, don’t accept or dismiss it without trying it for yourself. It may not work for everyone, but it’s at the very least, a good place to start.